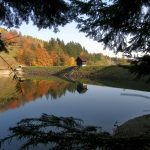 More than 66 of reservoirs were built in the Štiavnica Mountains at the end of the 17th and the beginning of the 18th centuries. Many of them are completely forgotten; some of them have been backfilled or otherwise destroyed. 24 of them are functional, serving as venues for leisure activities, fishing, or as water sources. The descendant of the contemporary Klinger tajch was designed and built before 1760 by J. K. Hell. It was used for driving water-pumping machines of the shafts Žigmund and Ondrej (nowadays the Open-Air Mining Museum in Banská Štiavnica). The construction of the reservoir cost almost 4000 golden crowns and Hell’s first water-pillar pumping machine constructed in the Žigmund shaft saved more than 1209 golden crowns during its first three months of service. The reservoir was rebuilt in the first third of the 19th century by taking the original reservoir apart and moving it lower. Clay was mined in Červená Studňa and transported here by wagons by a two-kilometre long railway. In 1850 the Ministry of the Viennese Government ordered establishment of bathing pools in order to ensure “health and cleanliness of the mining folk”. Floating pool rafts with changing stands were built on the bank of Klinger. The rules for bathing were put down in the “Order of bathing in the Klinger Shaft Tajch” – women bathed in the morning, men in the afternoon. Until this day Klinger is a popular place for swimming and bathing, even though its waters are not particularly warm due to the lack of sunshine. 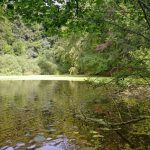 It can be reached by a romantic forest path from the town, a frequently visited place for walks. Together with Červená Studňa, they are located directly above the medieval heart of the town in the valley above Holy Trinity Square. 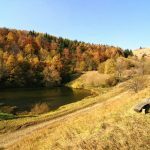 According to written records they are the eldest reservoirs in the Štiavnica Mountains, their origin reaching back to 1500. Although the name (Vodárenská – related to water station) might suggest they used to be the sources of drinking water, they were also used for driving water pumps and stamp mills in their early years. The Large Vodárenská Tajch is the only reservoir whose dam broke – in the early morning of 22nd January 1633. The water rushed down to the town underneath, resulting into collapse of three houses, destruction of many more buildings and deaths of five people. The dam was repaired in the same year. However, it broke again in 1725, once more causing massive damage. In the 18th century it served solely as a source of drinking and fire fighting water. Fires were both more frequent and extensive in those times. 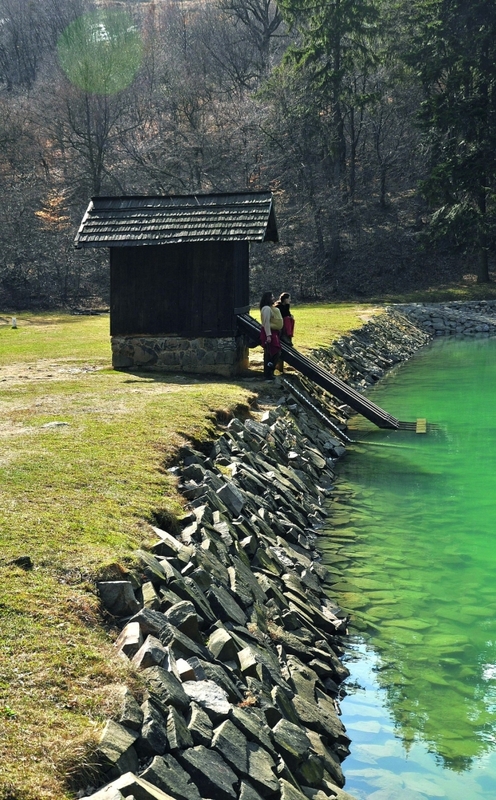 The Large Vodárenská Tajch is well-known thanks to the unique turquoise colour of its waters. Some believe it is because of the content of copper sulphates which are allegedly releasing from the old mine dumps. However, such an amount would be toxic considering fish living in the lake. Others claim that bathing in the water has beneficial effects. Fine grains of clay in the water are more probably responsible for the breathtaking colour of the water. Vodárenská is the locals’ favourite place to cool down on a hot summer day, a place for walks in spring and autumn as well as romantic ice skating in winter, sometimes even in candlelight. There is also a bonfire spot at the lake. Červená Studňa is a place above Štiavnica where the paths from Vyhne and Hodruša-Hámre cross each other at the ridge of the hill. It is the starting point for tourists, bikers and cross-country skiers as well as those taking educational trails. 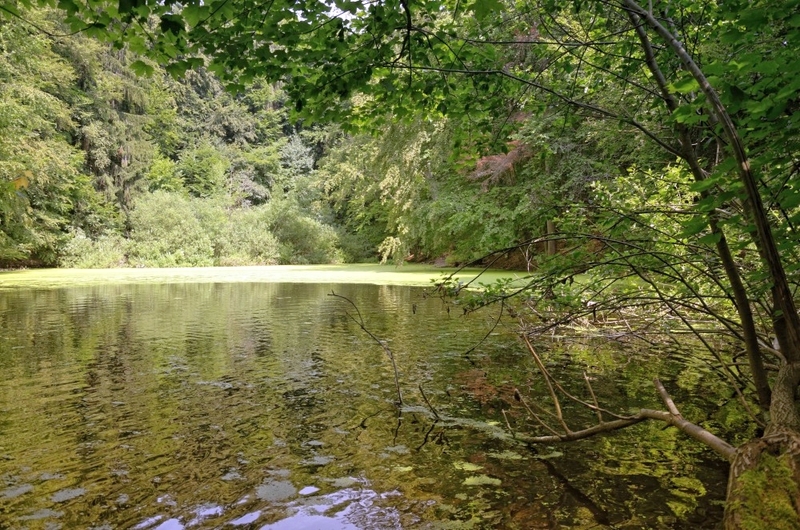 Červená Studňa (Red Mine) earned its name in the time of Imrich Tököly, when his armies captured and executed the Jesuit Pater Ján Katunský, whose blood is supposed to have coloured the waters red. The Cross of Ján Katunský next to the lake commemorates this event. 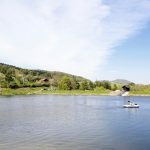 The reservoir has a low, stable water level as well as high altitude thanks to which it is a popular spot among local ice hockey players. 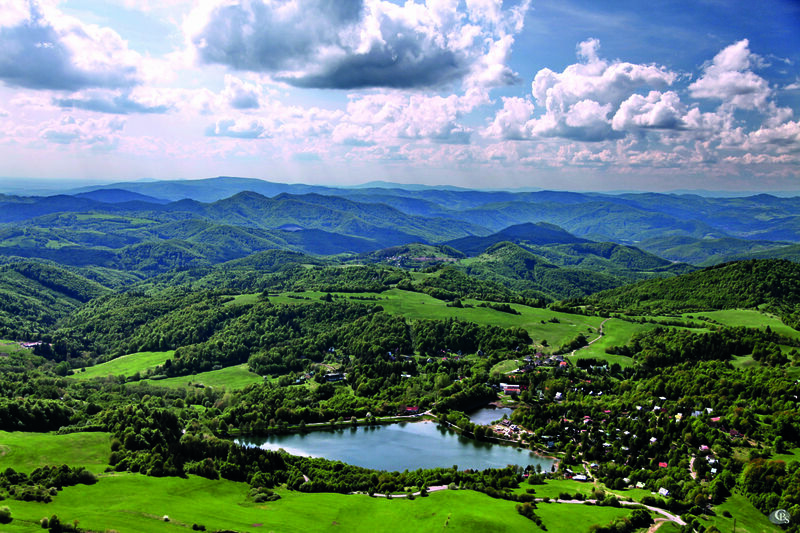 Ottergrund Tajch has the highest altitude of all the reservoirs of the Štiavnica Mountains (801 m. a. s. l.). 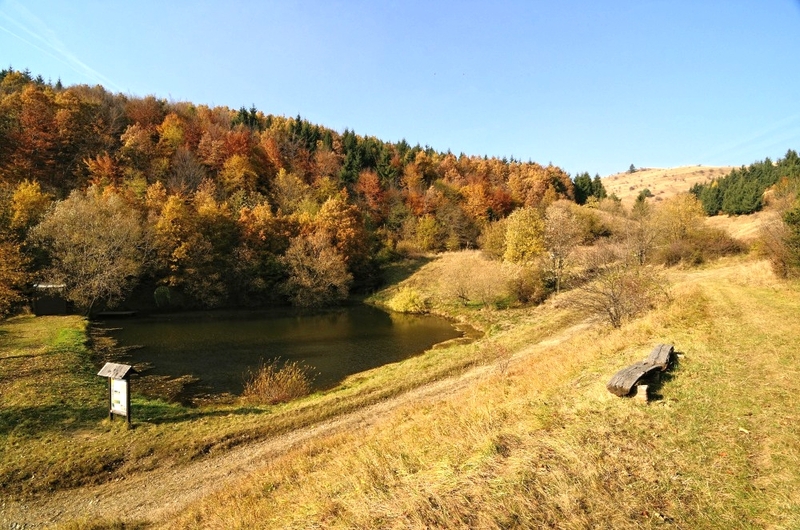 It is located on the educational trail of Milan Kapusta, connecting Červená Studňa and Klinger after a traverse close above the town. 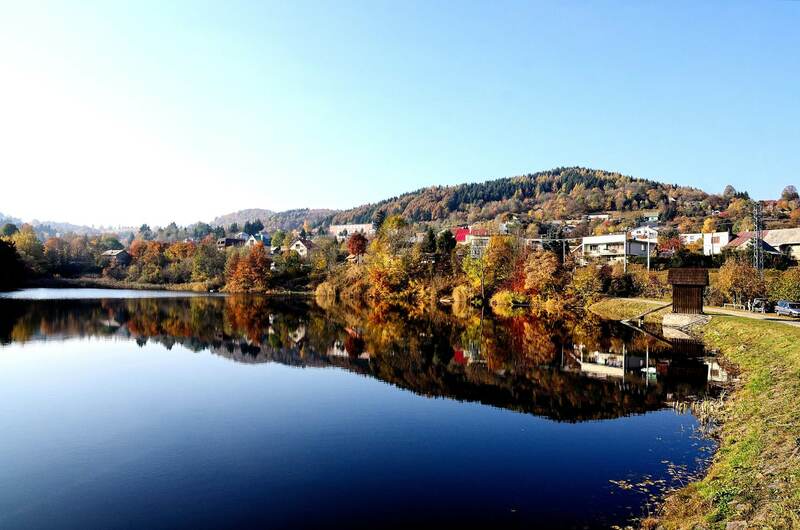 Ottergrund is one of the most picturesque lakes with the Calvary in the background and horses grazing at the dam. It is a perfect place for a lovely walk with beautiful views. There were reportedly three small reservoirs next to each other back in 1651. Their waters served as a drive of stamp mills within Michal Mining Tunnel. Two upper lakes were backfilled with barren rock, the lower one is polluted and its existence is in danger. Bakomi Tajch has been haunted by problems with sealing of the dam since its construction. Even today it is only semi-filled due to leakages, but it is enough for idyllic swimming in the heart of the nature. Above Bakomi there is a spot offering a view of three of Piarg tajchs, one under another. This reservoir was originally called the Tajch of Saint Pachomius; the name Bakomi was created by misspelling the original one. 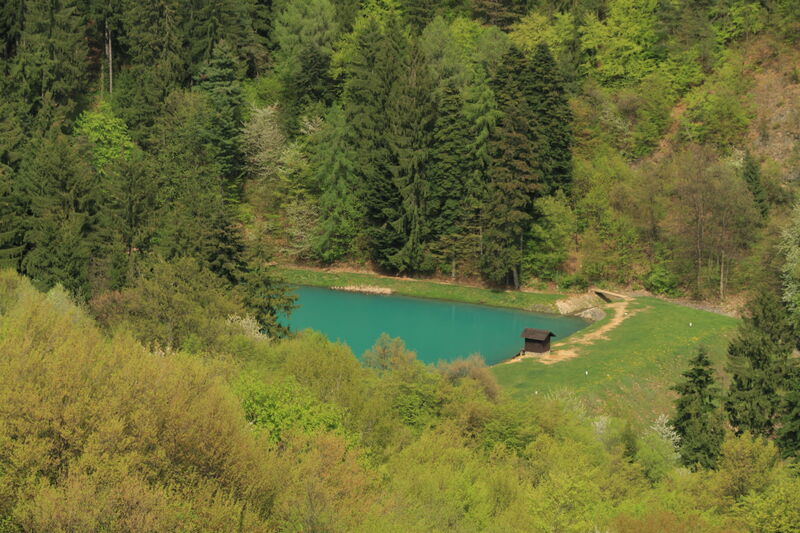 Together with Vindšachta Tajch, it used to be a reservoir of energy for the renowned and wealthy Bieber Shaft, thanks to its richness also known as the Mother of all Mines. According to records, it was in this mine that rock blasting was used in 1629, for the first time in history. It is the second oldest lake of the Piarg group and provides a romantic location for swimming. 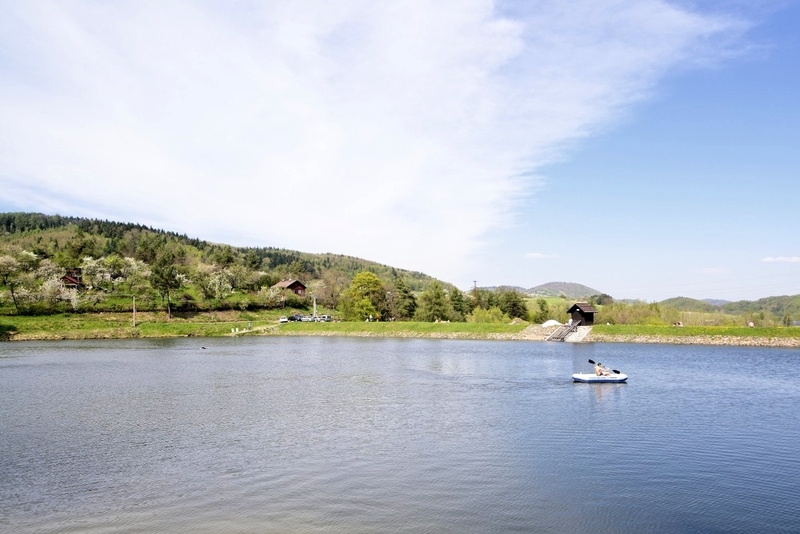 Apart from the breeding season, the Large Richňava serves as a fishing area with “catch and let go” mode and a place for leisure activities in summer, especially swimming and rowing. Its reconstruction has begun in 2014 and will have been complete by 2015. 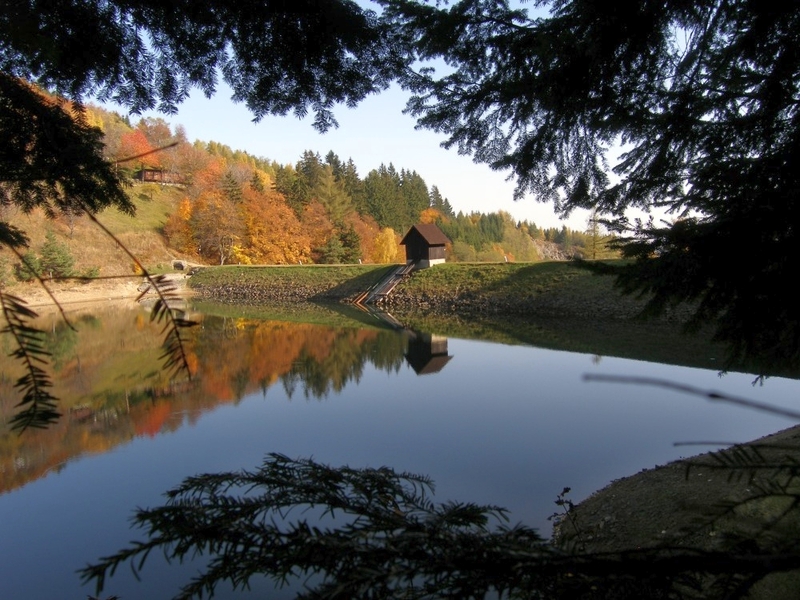 The water reservoirs are situated in the Richňavská valley at 720 m above sea-level. There is a masonry handling hut with eperating equipment of the bottom outlet in the middle of the dam. The original reservoir capacity was 554 thousand m3 of water. 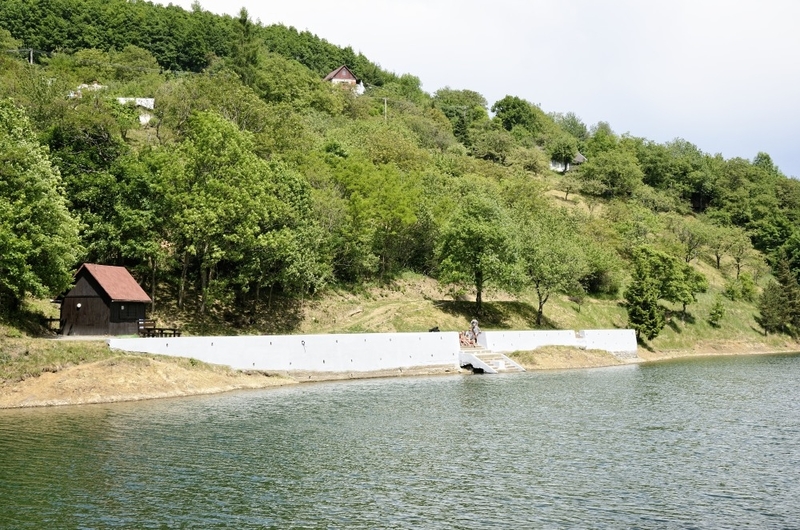 There is located another handling hut on the separating dam between the two reservoirs with operating equipment to shut water outflow to the connecting gallery between the Veľká and Malá Richňava. The design of originally one water reservoir was prepared by S. Mikovíni. Its construction was implemented in 1738 – 1740. Because the occurred seepage, the entire water reservoir, according to another design by S. Mikovíni from 1746, was divided by one transverse dam into two reservoirs the Veľká and Malá Richňava connected by a water tunnel. 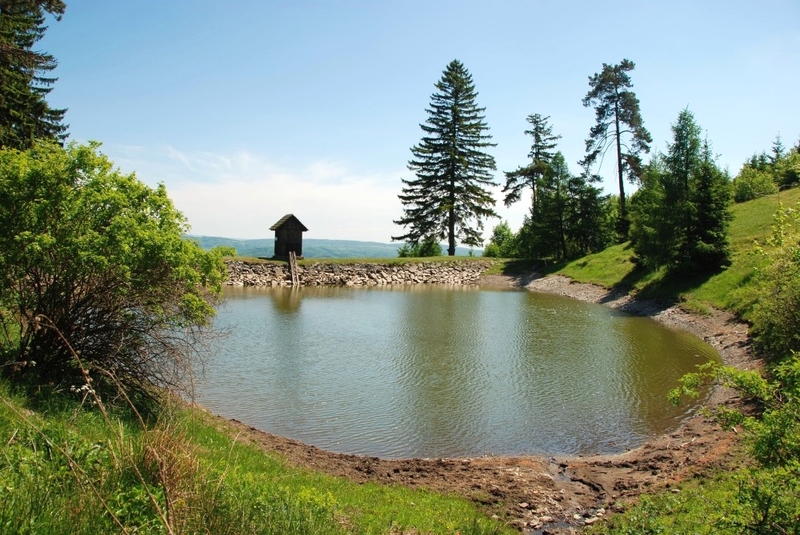 The original use of the water reservoirs was to drive water pumping, ore treatment and hoisting devices in the area of temporary Štiavnicé Bane and in Štefultov, local part of Banská Štiavnica, in a sophistically interconnected system of water galleries and canals. 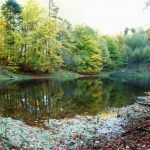 They are located on the right side of Štefultov village and, together with the higher located water reservoirs of the Piarg group, they served as a drive of mining devices in the Štefultov Valley. 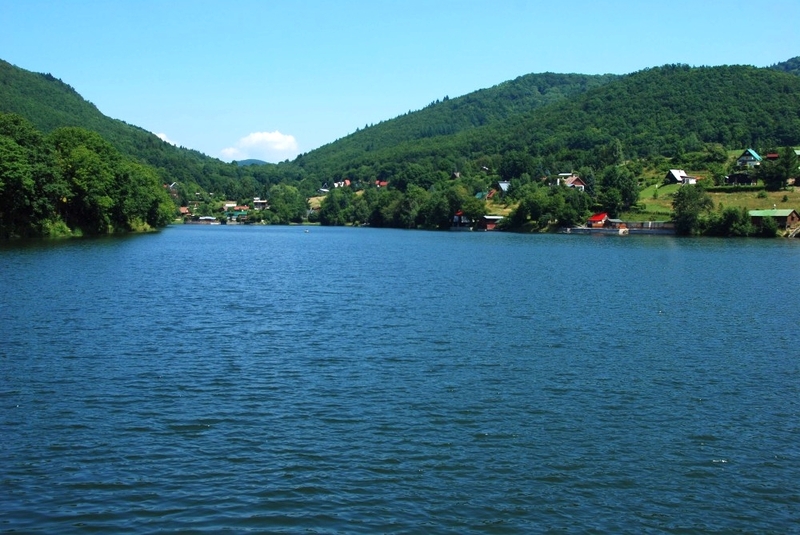 The small lake, also known as “Tajšok”, was the highest located of all Piarg water reservoirs (730 a. s. l.). Together with Halčiansky Tajch, it belonged to the Geramb Mining Union and originally served as a water supply for driving the stamp mills in the Kozelník Valley. 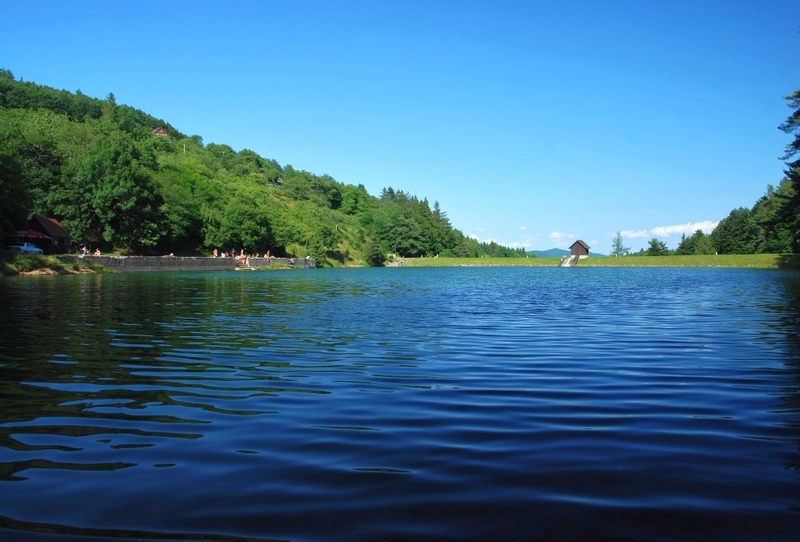 The lake underwent a complex reconstruction in 2001 and nowadays serves for swimming. Halča Tajch was created in the second half of the 18th century by damming the creek flowing in from the hamlet of Halča, belonging to Banská Belá. Halča Tajch and smaller lakes in Kysihýbel were used for fish-breeding and fishing. Nowadays it is not only a popular place among swimmers but also among those seeking a romantic secluded place for bathing, as it is rather far-off in comparison with others. 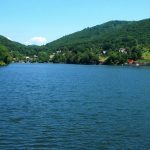 This relatively small reservoir on the left side of the road connecting Štiavnica and Banská Belá was created in the second half of the 18th century, driving the stamp mills in the Kozelník Valley as well. 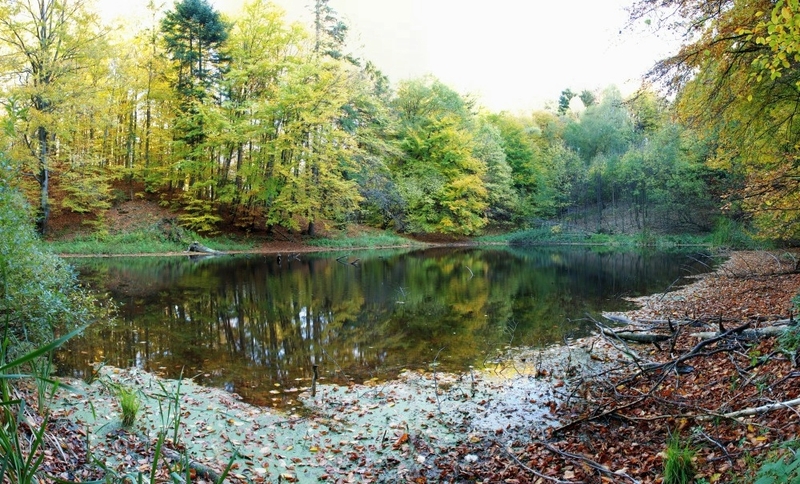 It is a smaller one of the two Goldfuss reservoirs, the larger one having perished more than 100 years ago. Their construction began in 1730 and the budget of 90 000 golden crowns was to be covered by the profit from stamp mills. Immediately after the dam (shared by both reservoirs) was finished, its shortcomings started to show – water leakages and cracks. The reparations were carried out by Samuel Mikovíni, but were probably ineffective, as the dam broke on 12th June 1746. A new dam was built under the original one and the reservoir was divided by a barrier into Large and Small Kolpachy Tajchs. The construction was lead by Samuel Mikovíni and cost 35 000 golden crowns plus 10 000 for inlet gutters. During socialism company as well as private cottages were built around Kolpachy. 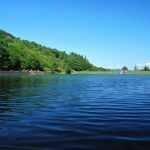 It is one of the most frequently visited reservoirs. The citizens of Štiavnica call it also Štiavnica Tajch, although it belongs to the land registry of Vyhne municipality. For 111 years Rozgrund was the one with the steepest dam of all. Due to purity of the water it has been used as a source of drinking water since the beginning of the 20th century. Swimming and fishing are prohibited as the lake is located in drinking water safeguard area of the highest level. The village of Banky is an old mining hamlet founded next to the shafts mining gold and silver ore in Hoffer Ruml dikes. The reservoir has a crescent form angled towards the valley directly above the village, where it drove water mills and stamp mills. When exploitation in Hoffer ceased in 1858, the lake became abandoned and the drainage device perished. It lacked security overflows against cloudbursts and heavy rains. The dam broke during floods in 1977 and the water rushed into the village. Luckily, it was only a rather small volume and did not cause any casualties. 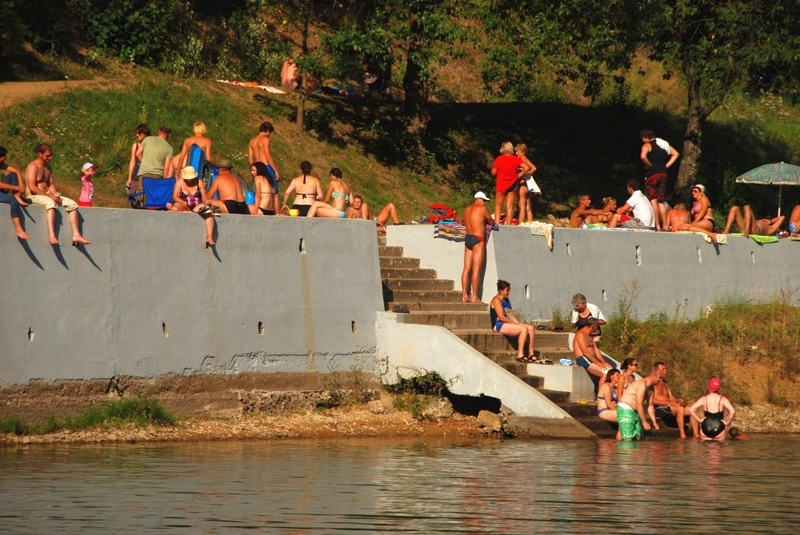 The reservoir has been reconstructed and enjoys great popularity among swimmers. The lake is more than 400 years old. 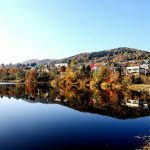 Its waters were used to drive multiple devices –water pumps and stamp mills crushing and rinsing the ore as well as bellows of metallurgic furnaces in Hodruša. It was necessary that more water was contained and released as needed. The dam was elevated by M. K. Hell and S. Mikovíni. Mikovíni eventually proceeded to build the Lower Hodruša Tajch. In the same year the dam of the Upper Tajch was repaired and elevated by 19 meters, gaining its current form. After further accidents, the reservoir was drained and partially covered by exploited ore in the 20th century. The reservoir was reconstructed in connection with establishment of a ski resort. After removing the soil, the original impressive stone wall (1834) of the dam was renewed, drainage was repaired and the inlet regulator was rebuilt, an overflow was built and inlet gutter was reconstructed. The reservoir has thus come back to life again and people are slowly becoming more and more aware of it. The Salamandra Hotel is located on its banks. 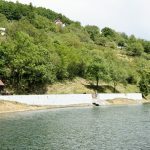 After the construction of the Upper Hodruša’s gutter supplying the reservoirs of the Piarg group, the Hodruša side suffered from a lack of water. Mikovíni originally considered elevating the Upper Hodruša Tajch further, but later chose the cheaper option – building a new one in a lower location. Construction of the dam began in June 1743 and ended in 1744. 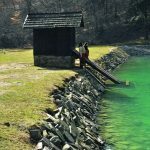 A cloudburst in 1960 caused overflowing of both then unused dams of Hodruša reservoirs. Several accidents followed when the water spilling over washed out a crack in the dam, which was subsequently weakened and crushed by the pressure of water. The fact that the water was no longer rising prevented a catastrophe with fatal consequences for the Hodruša Valley and its people. The Brenner Tajch in the valley of Grintál belongs to the oldest ones in entire area. It has the most massive dam considering the volume of contained water. The reservoir is currently waiting for a long overdue complex reconstruction. Ciblikovská Lúka is also known as the Tajch in the Hölle. Its bed is currently completely covered by alluvia from surrounding slopes. Mud and sand sediments have created a plain which has turned into a swampy meadow. 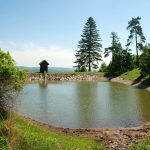 Of all reservoirs of Hodruša, this one has the most extensive system of inlet gutters, as it is built at a place with only mild streams. The reservoir underwent a complete reconstruction in 1997 after which the dam’s original parameters were renewed. It serves mostly for leisure purposes, mainly for locals and the owners of cottages. It is the smaller of the two Golfuss water reservoirs, also known as Small Goldfuss Tajch. It lost its significance in the 19th century. The reservoir is currently filled with water up to the maximum level.